When you picture a big corporate event, you’re probably zeroing in on the General Session – the big, inspiring keynote that featured one of your favorite celebrities. 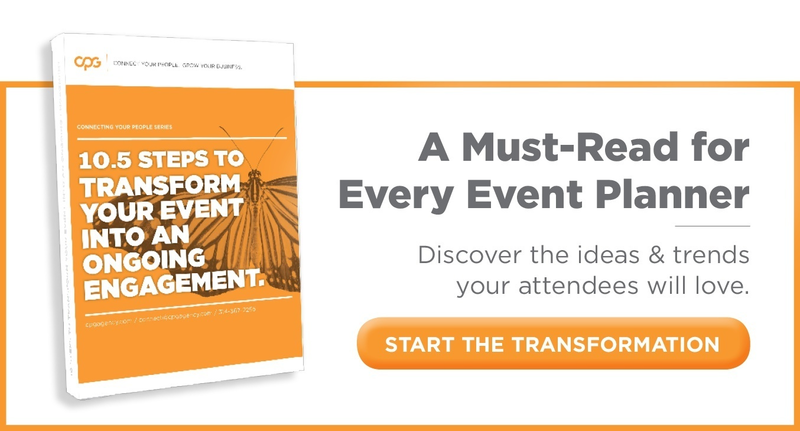 It’s a powerful moment of any conference and certainly engaging – but it’s not where the most learning and event ROI happens. Breakout sessions drive your brand message home. They educate attendees with the practical means to accomplish goals. They target specific areas and follow departmental tracks to “break out” of that one-size-fits-all message and target what you need to succeed. Breakouts are an absolutely essentially aspect of the corporate event management process. Corporate events give individual voices a platform to be heard and ideas an opportunity to come to life. General Sessions or keynote speakers may motivate audiences with intensity, but purposeful breakout sessions energize smaller, specific groups by exploring themes in-depth with more time for reflection and discussion. These micro-experiences are relevant to the topics considered in the larger group sessions; yet, they’re often where the true learning and participation happens. General sessions cover a lot of territory with only a little time left for the audience to process information or ask questions. So in your breakout sessions, outline the objectives you’re expecting to accomplish in advance. Without attempting to address every single topic, create realistic and specific goals that can be achieved in a short amount of time. This could be as simple as collecting and discussing feedback, or as involved as leading a seminar-style discussion or workshop. And while the group may need you or another designated leader to facilitate, don’t be concerned if they veer off track and discuss different topics other than what you intended. Allow the conversation to flow naturally with the energy in the room. They’ll engage with different points of view and walk away from the experience feeling driven, not drained. Another important point to consider: Don’t schedule a breakout session if what they really need is a break. Don’t exhaust your participants just to pack the biggest punch in a short timeframe – be respectful of their time and energy. Contribute to a unified, seamless event experience by optimizing the space and offering engaging content that is relevant to the theme. Prep your group speakers or facilitators ahead of time to familiarize them with the layout of the room. Arrange the room with decor and furnishings that vibe with the look of the event. Consider how you can engage each person with captivating content. Reawaken the inspiration your audience received in the General Sessions with tangible, practical advice and learning objectives. Also, adapt to different learning styles for those in your group who connect more with verbal, visual or audio material. Successful Breakout Sessions with thought-provoking content and discussions create a lasting impact long after the event itself ends. Continue the conversations that took place with post-event feedback on social channels or surveys. Inspire your audience by implementing the ideas addressed in the session – it’s probably not often that they actually see their questions, feedback or ideas put into practice outside of the event. While most of the hype at corporate events is generated around general and keynote speaker sessions, don’t underestimate the power of a Breakout Session. CPG has helped more and more of our clients turn up the focus on breakouts and promote greater ROI as a result. With the proper preparation, execution and follow-up, breakouts are a great way to foster brand advocates. Your people connect their role to the mission of the company when they see their contributions come to life.